Our certified professional staff are fully trained to adhere to all IICRC water-damage guidelines, including assessing the loss, structural drying, contents drying, daily moisture testing and monitoring, the final inspection, and the completion of work required. We’ve helped many families get things back on track. 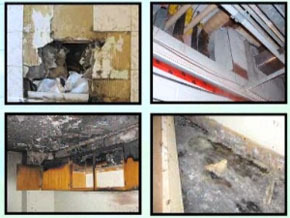 We specialize in complete fire and smoke restoration from floors to ceilings. We have trained, certified employees who will take every step necessary to ensure that your property is protected and secured from any further damage. Whether it’s a broken pipe or hot water heater, or the result of firefighting efforts, water damage starts immediately and can continue for days, even weeks. R. C. White Ltd. stands ready to provide water-damage restoration and reconstruction. 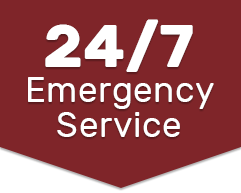 We will work with you and your insurance company to get your property and your life back to normal. Your responsibility begins when you first notice the flood. Call a certified, qualified restoration company. While waiting for your emergency response team, take immediate steps to remove any valuable contents from water as quickly as possible in order to minimize damage and costs.